Three and a half years ago I left the corporate world to bring colour to organisations through my own business. It was time for a change. 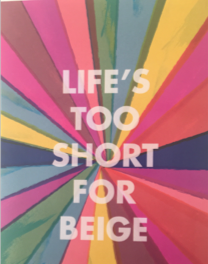 In the world of big corporates, I felt I was becoming ‘beige’, and as you’ll read later, I believe life is far too short for beige! I wanted to bring about positive change to organisations in a purposeful but playful way that I felt was just not achievable as a corporate employee. Since I launched Let’s Talk Talent, I have lived my personal manifesto every day through my business, on every project and with every client. That is what has powered LTT to grow in a competitive market in a unique way despite challenges along the road. 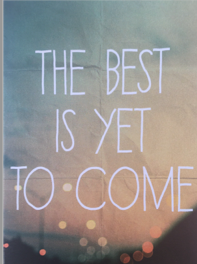 and that the best is yet to come. The link between what I do and who I am drives the business, and me as a person, forwards. If who we are and what we do are built on the same purpose and values, then you’ll be more resilient during hard times and truly enjoy success when it comes. This has become particularly important for me this year. I came out of corporate life because I felt like I was becoming beige. Organisations that thrive are full of colour, not lacking in it. So, as Let’s Talk Talent, we don’t work with beige clients and nor do we deliver beige solutions. People come into your life at certain time for a reason. In giving my time to people and showing kindness, I attract clients who are open and who are authentic and about giving, not receiving. 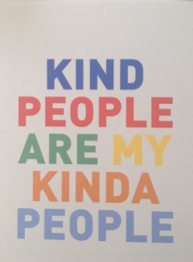 Our kindness makes us collaborative yet not afraid to challenge and hold up the mirror, to ourselves or to clients. 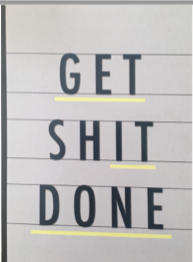 This means get the right s**t done. Being driven by outcomes not output. We know we need to deliver in a smart, agile and cost-effective way – but we want to deliver solutions that are great. Collaboration means we can be small but do great things for our clients. This is a bitter-sweet for me on both personal and business fronts. In January my husband was diagnosed with a terminal cancer. My life is going to change, hugely, and I don’t know when that will be. This has taught me that we need to live in the moment. But at the same time, I need to be working for something, still building a legacy which touches people hearts and minds. I know I’m not the only person dealing with this, but it’s shown me it’s time to practice what I preach. Be brave, be resilient, don’t sweat the small stuff. Know that the best is yet to come even at times that can be really hard! I know from my own journey inside businesses and now running my own business that the best people I have ever worked for and with have authenticity of purpose. This is our key differentiator in both business and personal success – and I would encourage you to think this through whether you need to change course, deal with a large-scale shift in perspective or look to new horizons. This is what we help our clients to achieve too. Because as we live our purpose, I believe we bring something different to our clients that changes the fabric or organisational life! As Josh Bersin, and others, have found from their research, purpose has a direct relationship with success. “People who find meaning in their work don’t hoard their energy and dedication. They give them freely, defying conventional economic assumptions about self-interest. They grow rather than stagnate. They do more—and they do it better.” This is the conclusion that Robert Quinn and Anjan Thakor come to in their piece on purpose-driven organisations in Harvard Business Review. Although this is a time of course correction for me and for Let’s Talk Talent, I hope this is what we achieve ourselves and for our clients. What’s keeping me focused during this time of uncertainty is this genuine bond between people and purpose. I believe that we can achieve great things, and respond to huge challenge, when personal and professional purpose are aligned. I look forward to sharing more of the journey with you throughout this year and I hope that it inspires you to think about your own purpose and direction. [PODCAST] Why do Values matter?